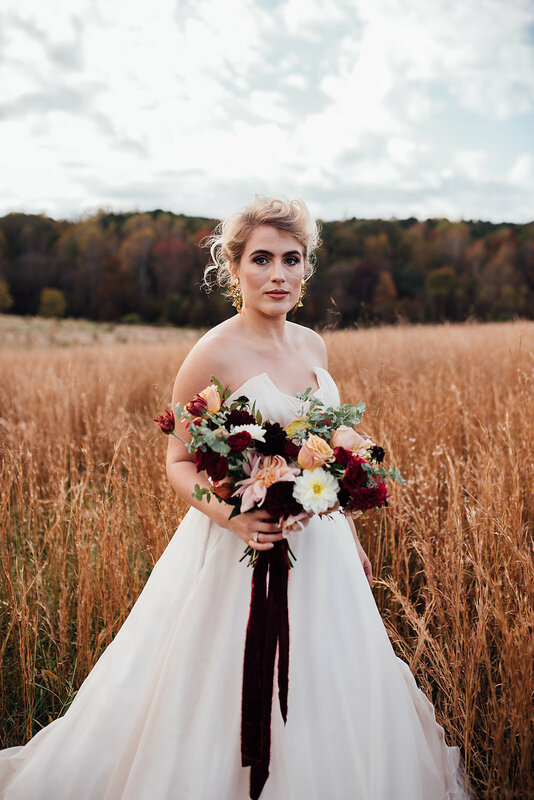 Gorgeous Fall Wedding at The Meadows in Raleigh — Organic Flower Farm & Florist providing wedding flowers to Durham, Chapel Hill & Raleigh. Nicole and Nathan had a beautiful vision for their wedding day at The Meadows in Raleigh. With styling and coordination from Lauren at the Lion House and beautiful rental pieces from Greenhouse Picker Sisters, we were able to create a truly, gorgeous event. 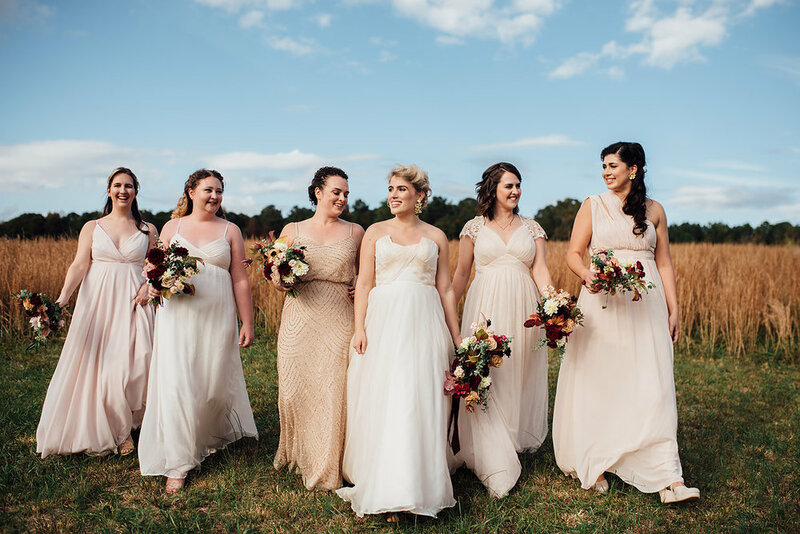 The Meadows is a 100+ acre farm turned wedding venue which perfectly combines a natural farm setting with more modern, stylish reception areas. 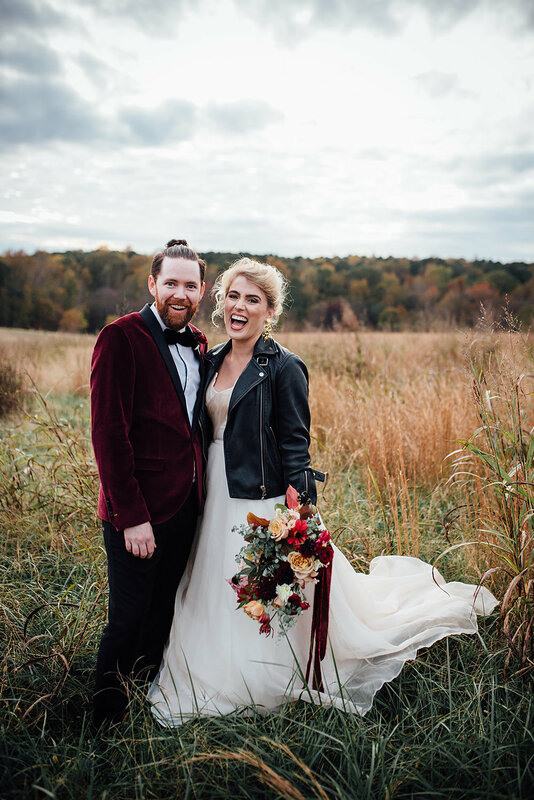 Nicole and Nathan decided to have their ceremony in the open meadow, but by choosing gorgeous rugs and a copper arbor avoided an overly rustic look, perfectly creating the Organic-Modern style that we love so much. The reception featured long farm tables with delicate greenery, apothecary bottles with local, organically grown dahlias and gold accents. It was classic, unpretentious and stylish all at the same time.